For centuries, people have used herbs both to nourish and to heal the body. In addition to adding flavor to food, many herbs are high in antioxidant, anti-inflammatory, and antiseptic properties. 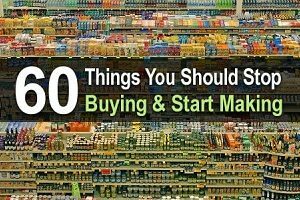 While many grocery stores sell fresh herbs, it is easy and inexpensive to grow your own at home. In fact, most herbs do well in a backyard garden or even on a sunny windowsill. Here are 11 of our favorite medicinal herbs to grow at home. Fragrant and easy to grow, basil is a tasty addition to soups, sandwiches, and many Mediterranean dishes. The herb also contains oils and flavonoids that help protect the body from illness and infection. 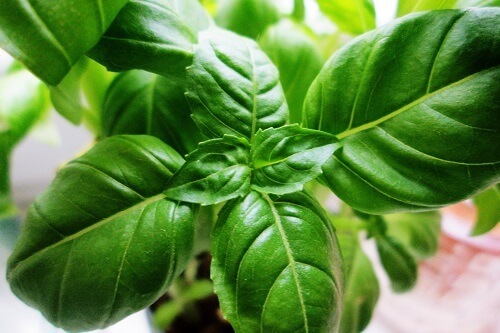 Basil contains vitamins A, C and K, copper, manganese, calcium, magnesium, iron and helpful omega-3 fatty acids. As a medicinal herb, basil can work as anti-septic for cuts and scrapes, and it can offer relief from headaches, flatulence, and a lack of appetite. Grow your basil plant from seed in a warm, sunny location, and keep the soil moist. An annual plant, basil is quite sensitive to cold. Indoors, keep it away from drafty windows and outdoors, cover it on days when the temperature dips below about 50 degrees. Simply snip the leaves for use. Known as a soothing tea, chamomile is another easy medicinal plant to grow at home. In addition to its calming properties, chamomile provides relief for an upset stomach and can ease skin irritations. Chamomile also has been used for centuries as a gentle way to calm colicky babies. Chamomile plants prefer full sun and can grow to about 18 inches tall. German chamomile is easy to grow from seed, and after the first season, the plants self-sow freely. The pretty daisy-like flowers appear within six weeks of planting, allowing two plantings in one outdoor growing season. German chamomile prefers a cool climate, full sun and neutral to slightly acidic, well-drained soil. Place the blooms in a warm, dark place to dry. 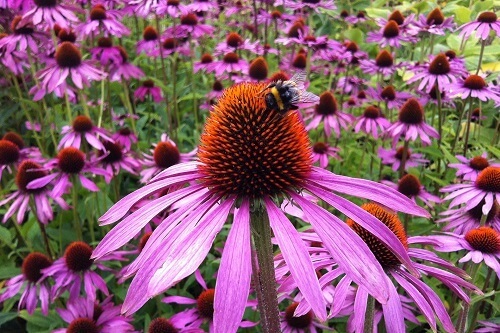 Known for its healing properties for treating the common cold, Echinacea (also known as coneflower) is useful both as a tea and in a tincture form. You can use fresh flower buds to make a tea that helps prevent and treat cold and flu symptoms. Making a tincture involves steeping the flower buds, roots, or both in pure, concentrated alcohol for four to six week weeks, and then removing the liquid. The purple plant grows to about two feet tall and requires full sun. Echinacea is biennial and flowers only in its second season. 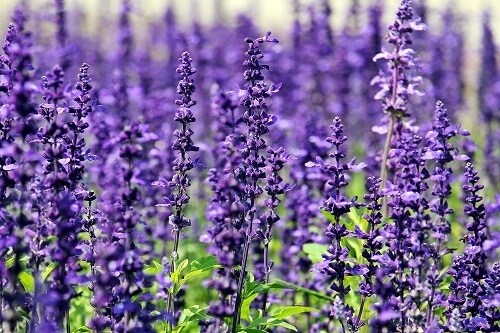 Even the fragrance of this lovely herb helps people feel calmer and more relaxed. Lavender also eases the pain of cuts and bruises and functions as an antiseptic when applied topically. Lavender grows best in dry, well-drained soil with full sun exposure. 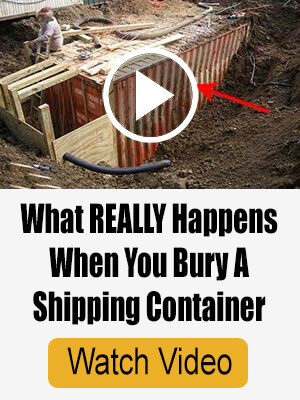 It requires little to no fertilizer and adequate air circulation. Keep safe from strong winds. Lavender can help treat digestive problems, bad breath, headaches, toothache, nausea and vomiting. Adding some dried lavender to your bath water can help alleviate stress as well as insomnia. 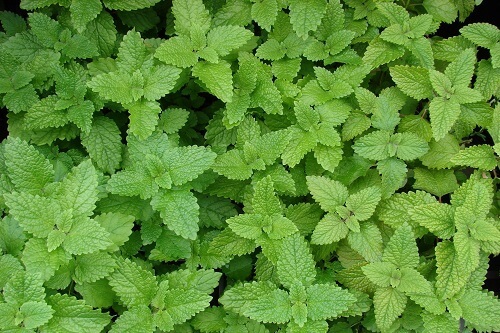 A relative of mint, lemon balm (Melissa officinalis) has been a favorite of herbalists for more than 2,000 years. 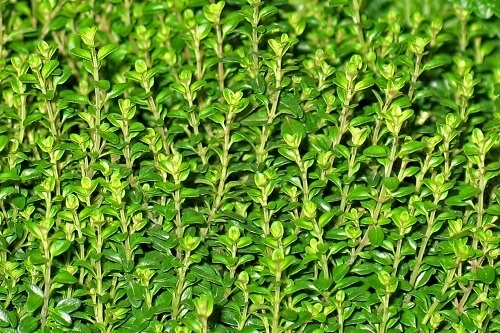 The versatile herb is used to treat anxiety, insomnia, insect bites, upset stomach, wounds, and herpes. Lemon balm is easy to grow from seed, and it can grow up to two feet high. The plant prefers a cool climate with fertile, moist soil and tolerates an acidity range from pH 5 to 7.8. This plant can be invasive, so be sure to prune off the flowers before they go to seed if you don’t want it to take over your garden. Fresh lemon balm leaves make a refreshing tea either hot or iced. If you enjoy Italian dishes, you probably like the taste of oregano. This flavorful and aromatic herb has antibacterial, antioxidant, antimicrobial, and anti-inflammatory properties. It is rich in vitamins A, C, E, and K ad well as fiber, manganese, iron, calcium, magnesium, niacin, zinc and omega-3 fatty acids. Oregano eases discomfort from the common cold, muscle pain, vomiting, acne, bronchitis, asthma, toothaches, stomach bloating, headaches and menstrual cramps. You can grow oregano in raised garden beds or in containers that have well-drained soil and that receive full sun exposure. Be careful not to overwater this medicinal herb. Often used as a plate decoration in restaurants, parsley is loaded with nutrients, including folic acid and vitamins A, C, B-12 and K. It can be used to treat urinary tract infections, kidney stones, constipation, jaundice, flatulence, indigestion, colic, coughs, asthma, osteoarthritis and high blood pressure. It also works well to fight bad breath. Parsley, which grows well in a small garden area, prefers partial shade and moist, well-drained soil. Menthol gives this hardy perennial herb its spicy-sweet aroma and taste. Merely sniffing a sprig of peppermint can help alleviate the nausea and vomiting that is associated with motion sickness. Sipping peppermint tea can calm nervous tension and an upset stomach. 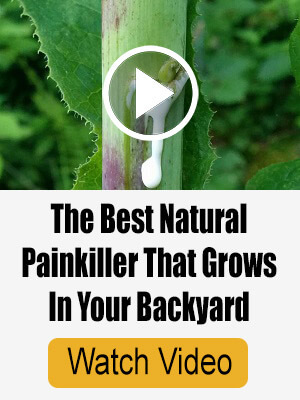 It also helps soothe headache pain. It is a good idea to grow this fast-spreading plant in containers. Its stalks can grow up to three feet tall, and it spreads horizontally readily. 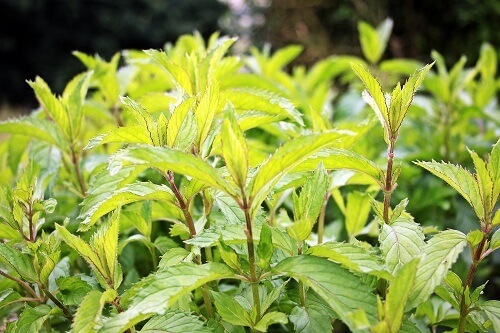 Peppermint prefers full sun and moist, well-drained soil. Harvest the leaves as they mature and then let them dry in a warm, dark place. This aromatic medicinal herb has antioxidant and anti-inflammatory compounds as well as phytonutrients, iron, calcium, essential fatty acids and vitamin B6. It is useful in treating headache pain, the common cold, indigestion, muscle pain and neuralgic conditions. Long called “the herb of remembrance,” rosemary also is thought to enhance the brain’s cognitive function. Rosemary grows best in a sunny location with well-drained, sandy or gravelly soil with neutral to alkaline conditions. It is a perennial, but water logging and/or frost will challenge its health. You can grow rosemary in a pot or container, or you can plant is as an attractive hedge in your garden. Pinch the fragrant needles for use in a tea or as an ingredient in cooking. The Latin genus name for sage is “salvia,” which means, “to heal.” This easy-to-grow plant has been used for centuries to treat loss of appetite, stomach pain, heartburn, excessive sweating, cold sores, gum disease, gingivitis, menstrual cramps, and asthma. Sage grows well in well-drained, fertile soil with plenty of sunlight. It boasts thick, long grey green leaves that can be used in cooking. As a strong antiseptic, this medicinal herb is useful for treating coughs, congestion, flatulence and indigestion. 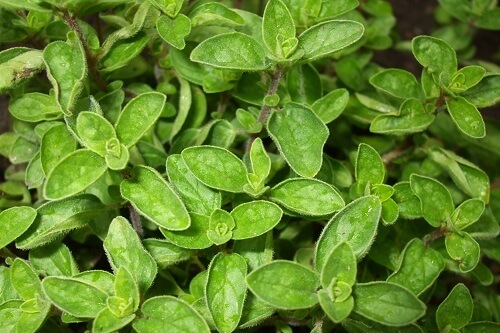 Thyme is easy to grow in a sunny location and can survive both summer heat and winter frost. As a gargle to treat bad breath and mouth sores. As a poultice on the neck to reduce throat pain. As an inhalant to calm nerves and exhaustion. In an extract to relieve chest congestion, asthma or whooping cough. As a tea to ease digestive problems. Growing medicinal herbs can be a rewarding part of your natural lifestyle. Having your own herbs can reduce your dependence on costly over-the-counter medications–many of which have side effects–and they can benefit your family in many other ways. For more information, here are a few resources to check out. • Rosemary Gladstar’s Medicinal Herbs: A Beginner’s Guide: 33 Healing Herbs to Know, Grow, and Use by Rosemary Gladstar. • Herbal Medicine Natural Remedies: 150 Herbal Remedies to Heal Common Ailments by Anne Kennedy. • The Complete Medicinal Herbal: A Practical Guide to the Healing Properties of Herbs, with More Than 250 Remedies for Common Ailments by Penelope Ody. Any factual data to back up this article? No, not really Just anecdotal. Nice read but not really informative. Ah, nice to know I grow all of these! I have also made tinctures. You can find 100% Vodka which is best to use as the tinctures last longer than the regular 80% Vodka. I make tincture of Elderberry blossoms which really helped me get over a nasty cold virus this winter, as did the Elderberry Cough Syrup I made from the berries. Many scoff at homemade remedies or plants being medicinal. 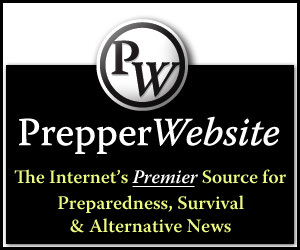 What are you going to use if the SHTF and you have no access to a pharmacy? Learn to use herbs/flowers like our grandparents did or you will be up a creek without a paddle. Good luck with that.